The author, an anthropologist, details the initiation process she went through to become a Maya shaman-priestess in Guatemala, including rituals, prayers, the presence of numinous forces, and the transmission of sacred knowledge. She explains the spiritual wisdom of the Maya calendar as a living entity, its cycles of time, and the significance of “the counting of the days,” which helps keep time itself alive. She examines Maya spiritual and cosmological concepts such as how the universe is shaped like a triangle over a square. She reveals the profound power of dance in Maya tradition, explaining how ritual dance halts the flow of time, reactivates primordial events, and captures vital energies that keep the Maya spiritual tradition vital and alive. Exploring other Maya secret knowledge, she also details Maya ritual attire, Maya future-telling with the calendar, the reading of the Tzi’te beans, and how the Maya communicate with ancestors through the sacred fire. 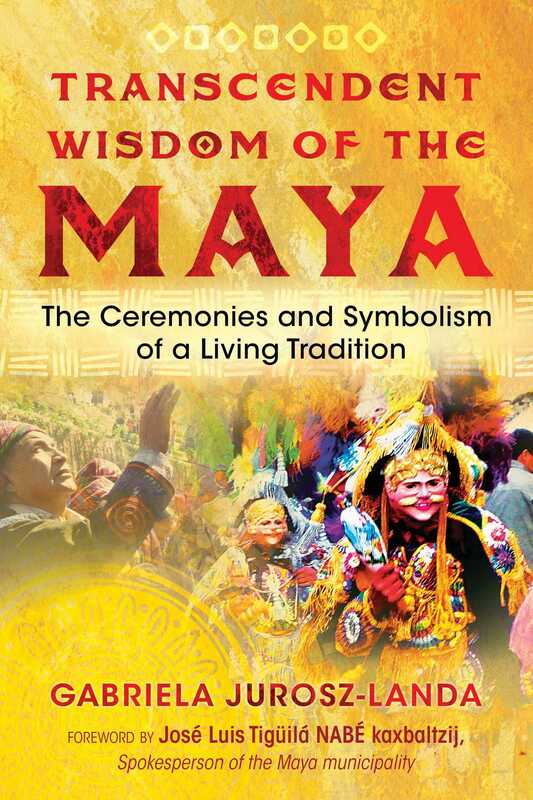 Illustrating how contemporary Maya life is suffused with spiritual tradition and celebration, the author shares the teachings of the Maya from her initiate and anthropologist point of view in order to help us all learn from the ancient wisdom of their beliefs and worldview. Because, to truly understand the Maya, one must think like the Maya. Day and night my mentor, Tomasa, and her daughters perform several ceremonies and are often called to clients’ houses to perform a ceremony and healing. Their cell phones ring frequently during the ceremonies as they cannot turn them off in case there is an urgent matter and a patient needs to reach them. The calls come from nearby and as far as foreign countries. I was invited to live with Tomasa and her family during the time of my training. Although I would have liked to live close to them, I decided against it because I wanted to live close to the local Mayan administration, and because I also wanted to experience the life of my dear friend Josefa’s family. I find the training to become a Mayan ajq’ij (a shaman priest or priestess) tiring, and I am typically exhausted after the ceremonies and need time to myself for meditation and writing. Also, there are a lot of children in Tomasa’s family, and one day much later, Tomasa and Sebastiana confess to me how difficult it is to concentrate when one has a busy family life. We also invoke the town patrons and local saints as well as the ancestors. We thank them for life and for today’s energy and start counting the nawales (the Mayan numinous energies) starting with today’s day: Jun Tz’i’, Keb Tz’i’, oxib Tz’i’, kajib Tz’i’, job Tz’i’, wajib Tz’i’, wuqub Tz’i’, wajxajib Tz’i’, belejeb Tz’i’, lajuj Tz’i’, junlajuj Tz’i’, keblajuj Tz’i’, oxlajuj Tz’i’ . . . The meditative, repetitive counting helps link the priests and priestesses to the energies. We call upon the mentioned characteristics of that particular day. Today we pray specifically for a pregnant woman, a patient of Tomasa and her daughters. The procedure is fairly set every day, but the outcome of the ritual certainly isn’t. The behavior of the fire differs and there are other interferences, such as the wind or animals appearing, which evoke internal thoughts or revelations. Different messages can make the ajq’ij’s blood move, which can be interpreted as significant. There are many meanings in the spiritual world that I am to gradually discover. The ability to feel and interpret these messages, a skill that goes unused in industrialized societies, proves that it is not only one’s profession that makes one a living being after all. During the ceremony, we silently ask questions. Tomasa explains how to find the answers in the fire. In one instance the fire creates a spiral. Tomasa explains that if the spiral turns in the direction of the earth’s energy in that particular region, the fire is giving an affirmation to one’s question. When swirling the other way, the request is not confirmed. In Guatemala, the directional spin of affirmation is to the left. In other parts of the world, such as the USA, the energy spins to the right. The direction depends on which one of the world’s five vortexes a place corresponds to. Generally speaking, if the fire blows toward the east, it also shows an affirmation. When the fire points west, one should consult the ancestors, for example, by using Tz’ité seed divination. A fire that points to the north means a negative outcome. When the fire burns high, it means that energy is being lost. A lively fire shows a good situation; it does not need to be big, but diverse and alive. If the flames are white, the situation shows transparency, which is considered positive. Blue-colored flames are excellent. After the fire ends, we sit and listen (a task that is not easy for people with impatient temperaments). Once the fire flames are out, the smoke speaks, as long as the ceremony is not finalized by the main ajq’ij. White smoke shows the person in question has a good state of being. Black smoke or ashes are negative. Crackling represents answers that will need further definition. After the fire dies out, one should also observe the outer influences of the wind and birds as well as be mindful of other unusual happenings. What mainly matters, however, is that which happens within. This is what I am here to refine through daily practice with Tomasa and her daughters. When one puts aside the way of seeing things we learned in our lifestyle that is removed from nature, it all makes so much sense. Gabriela Jurosz-Landa is an anthropologist and Maya shaman-priestess initiated by her teacher Tomasa Pol Suy in Guatemala. She has researched Guatemala for more than 20 years, living there for 6 years, during which she participated in ceremonies with Maya spiritual and political authorities, including the 2012 New Era celebrations. The founder of the Forum of World Cultures, she writes and lectures internationally. She lives in Connecticut.